Conservation biologists have come to recognize the importance of GIS in their discipline. Geographic Information Systems (GIS) have become a useful tool in the field of landscape ecology. A common application of GIS is the generation of landscape indicators, which are quantitative measurements of the status or potential health of an area (e.g. ecological region, watershed or county). With the increase in available landscape data from satellite imagery and public agencies (most notably the USGS), GIS has become irreplaceable in the spatial analyzes performed in conservation biology. GIS first became renowned for its use in conservation biology with the advent of Gap Analysis. Gap Analysis is the practice of mapping out sensitive species habitats and overlaying the protected and undisturbed areas of habitat. This allows conservation biologists to visualize areas of sensitive species that are currently unprotected. To find out more about Gap Analysis visit the Encyclopedia of Gap Analysis. Biological invasion is an increasingly important scientific research area because of possible ecological and economic impacts of species invasions. 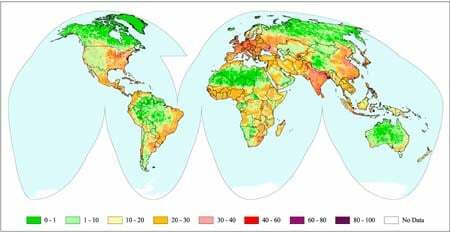 GIS can aid in analyzing potential biological species invasions by modeling the spatial spread of exotic species. In addition, the rate of expansion can be further analyzed to look at the effect of potential temporal obstacles and perpetuators. Fragmentation of the landscape by human development is another important issue in conservation biology. Non-contiguous habitat is unable to support the same density of species diversity and population as a similarly contiguous area of land. GIS has been used (e.g. 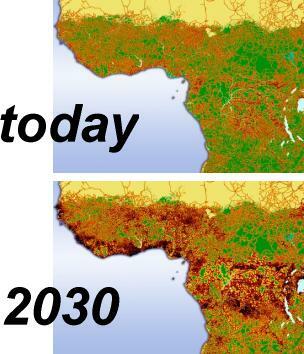 FRAGSTAT) to look at the structural makeup of the landscape and habitat connectivity. GIS can be used to identify remaining areas of primary ecological significance and determine the ecological network connecting and buffering larger existing conservation lands and other primary ecological. The delineation of ecological infrastructure helps determine where the most significant natural areas and compatible land uses remain and where these areas are threatened by urban sprawl and other sources of human disturbance. With limited funds and a range of natural resource requirements, many conservation oriented agencies look to GIS to help prioritize their focus. 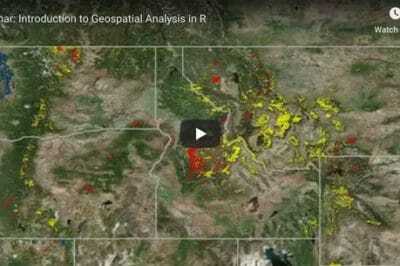 Using a ranking method, GIS is used to analyze such important factors as habitat connectivity, cost, species presence and disturbance factors in order to determine the priority of available land parcels for acquisition. The Florida Department of Transportation (FDOT) is using GIS to analyze and provide mitigation efforts for conservation objectives in regards to road projects and habitat connectivity. Potential impacts of roadways such as road-kill sites, sensitive species hot-spots, core habitat areas, and blockage of key movement/migration routes were analyzed and a prioritization of projects was established. Using a rule-based GIS model, the FDOT was able to prioritize their projects and determine mitigation measures to counteract the negative impacts on wildlife and wildlife habitat. Road projects were integrated with installation of underpasses or culverts to restore landscape connectivity and to lessen the impact of constructed roadways. The most comprehensive site for accessing case studies, conference information and job listings for those interested in GIS in Conservation Biology is the The Society for Conservation GIS. ESRI has also become intensely involved with Conservation GIS and supports this field with technical support, grants and software support. Analysis of the human footprint map indicates that 83% of the land’s surface is influenced by one or more of the following factors: human population density greater than 1 person per square kilometer, within 15 km of a road or major river, occupied by urban or agricultural land uses, within 2 km of a settlement or a railway, and/or producing enough light to be visible regularly to a satellite at night. The Wildlife Conservation Project is sponsoring an interesting study to recreate the ecology of Manhattan from 1609 when Henry Hudson first sailed into the area and then compare it to the current ecology. The Mannahatta Project will help us to understand, down to the level of one city block, where in Manhattan streams once flowed or where American Chestnuts may have grown, where black bears once marked territories, and where the Lenape fished and hunted. Most history books dispense of the pre-European history of New York in only a few pages. However, with new methods in geographic analysis and the help of a remarkable 18th-century map, we will discover a new aspect of New York culture, the environmental foundation of the city. Links to organizations and institutions providing solutions to the issues in conservation biology and ecology through the use of GIS related technologies. Conservation biologists have come to recognize the importance of GIS in their discipline. Geographic Information Systems (GIS) have become a useful tool in the field of landscape ecology. 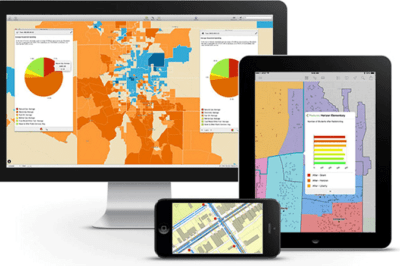 This article provides examples of how GIS is being used in this discipline. 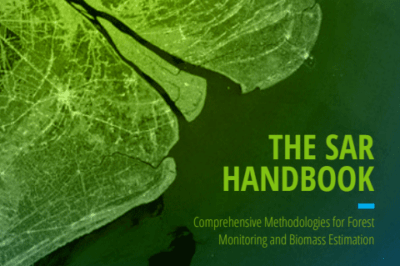 Published by the Conservation GIS Consortium, the Conservation GIS Starter Kit is a stand alone progam of instruction for learning the basics of GIS technology in relation to conservation and environmental issues. ESRI, a leader in GIS software, has also become intensely involved with Conservation GIS and supports this field with technical support, grants and software support. InfoRain is the Bioregional information system for the North American rainforest coast, providing accessible and useful information and data at multiple scales; bioregion, watershed and community. Professional organization with information on case studies, jobs and advances in the utilization of GIS in conservation biology. RAMAS GIS is designed to link your GIS with a metapopulation model for population viability analysis and extinction risk assessment.